Living Area 2198 Sq. ft. 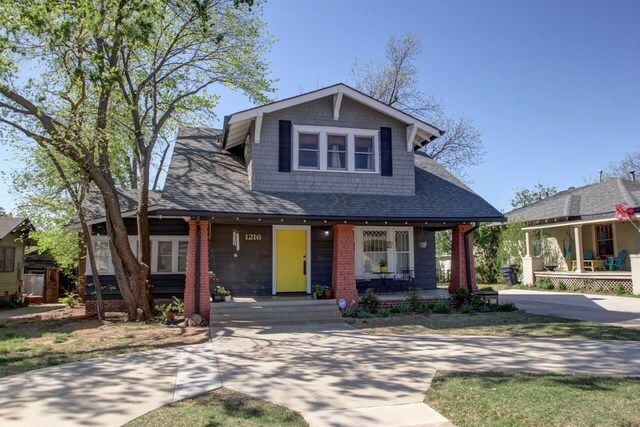 Check out this amazing Bungalow in the heart of the historic community. Talk about a park like view! Your backyard is the newly redesigned Memorial Park with running trails, tennis courts, kids play area & great water feature. The unbelievable wood work alone will make you want to buy this home. Nicely updated kitchen with newer stainless appliances. Master suite is downstairs with an all new master bathroom which includes double pedestal sinks, large walk-in shower with barn style sliding door, great storage and the laundry room is around the corner. Two bedrooms upstairs with full bathroom and a great storage closet. Full bathroom upstairs has the original tile and claw foot tub. Upstairs also includes access to the balcony that looks out over Memorial Park and the backyard.